How to play background music in your business without having to pay astronomical amounts of money? Why is music important in a salon? What type of music do I choose? If you are the owner of a hair or beauty salon, you will surely be aware of the importance of background music in any business of this type. In fact, according to a study conducted by MusicWork, it was recognized that music had a great effect in increasing the business’s revenue: 80% of the participants stated the importance of music in creating a favorable atmosphere in a hairdresser’s or beauty salon. 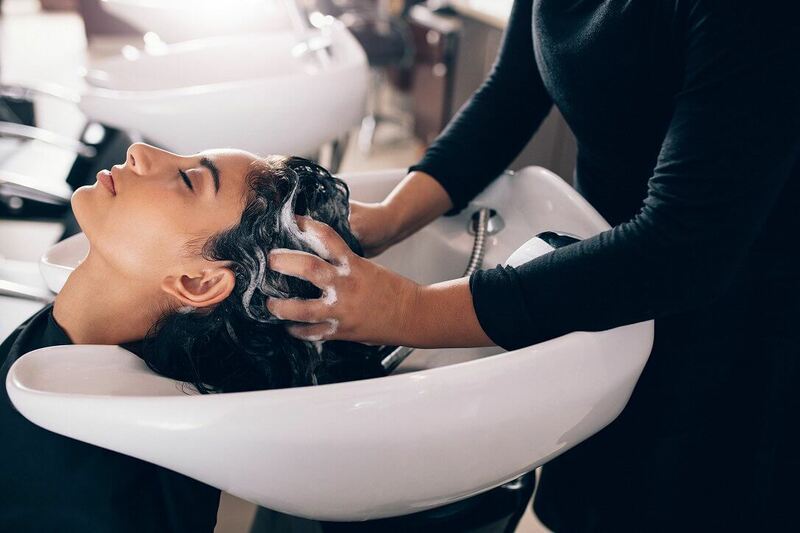 Similarly, in relation to this statement, 61% of hairdressers in the same study said that this favourable atmosphere was a key element in getting customers to return to the establishment more often in the future. If you play background music from the radio, television or Youtube, in any inspection of the so-called PRO’s (Performance Rights Organizations), you will most likely be fined and have to start paying monthly fees according to its terms and conditions. The main difference between Soundtrack Your Brand and Jamendo Licensing is that in the former you’ll have the full musical repertoire of Spotify available, while in the latter the music is by mostly unknown authors. You probably know that most music on the Internet is protected by so-called copyright. This means that you cannot give commercial use to this music without their respective licenses, as otherwise, you would be exposing yourself to serious administrative penalties in inspections carried out in your establishments. The main Performance Rights Organization in each country, (BMI, ASCAP or SESAC in the US, PPL-PRS in the UK…), establishes a set of fees according to the surface area of your hairdressing salon or beauty salon. You can check the prices of their licenses on this page for the UK, ranging from £84 to £375 depending on the seats you have and you will need as many licenses as locations. The prices for the US are in that range too, or even more. On many occasions, PRO licenses can be somewhat abusive and, in addition, they are precisely the ones that carry out the inspections we talked about. The most recommended tools to manage the background music in your hairdresser’s or beauty salon is undoubtedly Soundtrack Your Brand. It was born in 2010 and is supported by Spotify. In fact, some of its founders and workers come from this company. This platform, also popularly known as Spotify for Business, continuously updates its songs and playlists so that businesses have the ability to play music without overwhelming customers or employees. Automatic updating of the songs from the playlists so as not to saturate neither clients nor workers. Scheduling songs at specific dates and times. Music management of several gyms, in case you have more than one, from the same device. Full control from your own smartphone or computer, with no need to install anything else or even be connected to the Internet. The price of Soundtrack Your Brand is fixed: €26.99 per month per store. However, in case you are afraid to spend that money and then get a service that you didn’t expect and that doesn’t satisfy you, the platform offers a free trial for a period of one month without any commitment. However, once the relevance of music is confirmed, the real question is: where does that significance come from? And it is that, in many cases, this aspect is able to make a client who had entered a hairdresser’s or beauty salon somewhat stressed by their day to day, leave the door as happy as possible. The relevance of music has reached such a point that there are hairdressers who have even decided to open at night and hire DJ’s to set the mood for their places and to fill them with young people cutting their hair to get ready for going out. Even many salons have developed a strategy in this regard, choosing a particular musical genre that always dominates. However, there are others who prefer to opt for a different musical genre each day and thus create different theme days in their establishments. Regardless of the type of strategy you like the most, the fact that there are many hairdressers and beauty salons, especially those with the most reputation, developing musical approaches, is a clear sign that this is where the real business is also to be found: not just in the cut, the dye or the treatment offered. Now you know that music is an essential element for the profitability of any ordinary business, but… Now what? What kind of music should you play in your establishment? The first thing you should know is that the type of music you choose will depend a lot on the strategy previously defined. Typically, the strategy of many venues is to define a type of music according to the time of day they are in. For example, for times of the day when there are plenty of customers sitting in the waiting room and you can already breathe that little tension, it is best to counteract this tension with genres of music that are calmer and softer. However, when there are not many people in the waiting room, you can opt for a more lively and cheerful type of music. This is not always the case, however, as the choice of one type of music or another is also influenced by the activity taking place at the time. To give you another example, when the activity that is being carried out at the moment consists, in the case of hairdressers, of applying a dye to a person’s hair, they usually opt for slower and calmer rhythms of music. On the other hand, when you are cutting a client’s hair, you tend to opt for a more active type of music, as this way, you not only influence the client to have a more cheerful attitude, but also the worker’s attitude so that he or she has a faster work pace and, consequently, that translates into more possible clients per day. Apart from the musical genre or the rhythm of the songs, there is also another aspect to take into account when dealing with music in hairdressers or beauty salons: the volume. You must know how to find the perfect volume: not so loud that there are difficulties in communicating with the client, not so low that conversations with the client are heard perfectly and almost without wanting to be heard by third parties. Platforms dedicated to the sale of legal music over the Internet are gaining more and more followers, as those responsible for any business begin to realize that they are an option with many more features and more profitable than the’forced’ payments to the PRO’s. This is where Soundtrack Your Brand, comes in, a platform that not only lets you play all the music available on Spotify, but also provides a control tool to program the type of music at different times, manage multiple locations from a single device (like your smartphone) and all without installing anything new or even being connected to the Internet. Therefore, you are sure to find without any problem the platform that best suits your needs and that will satisfy you the most in terms of ease of use.